The Start Network’s Annual Conference, "Start for Change 2015: Building new humanitarian solutions together" will take place on 20 May 2015. Our Annual Conference is a unique opportunity for a broad range of staff from our member agencies to meet with other Start Network stakeholders from within and beyond the humanitarian sector, to debate and vote on the future of the collaboration. This year we'll make decisions on some of the key issues that the Start Network was set up to address. Participants will refine a collective input to the World Humanitarian Summit. They will hear from Network partners and collaborators around the world on the new ways in which they are linking people in crisis to the best possible solutions. 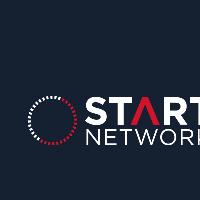 And at the end of the day, we will decide how we can make the kinds of deep changes that are needed to realise our mission; and celebrate the launch of Start as an international network. The conference will bring together about 200 senior representatives from some of the world’s largest humanitarian organisations, as well as innovators, opinion-formers and other stakeholders concerned with achieving better outcomes for those in need of humanitarian assistance. In words and pictures, participants can expect inspiring provocations; messages from leaders and innovators; insights from the field; smaller group reflections on key challenges and possible futures for the humanitarian system – and some surprises along the way. Check back soon for announcements on our exciting line up of speakers, and more information about the debates that will take place on the day.